The Raccoon River Valley Trail to High Trestle Trail connector project is making progress. 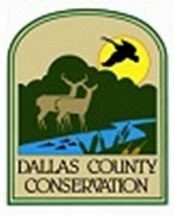 The Dallas County Conservation Board recently decided on the path the connector trail will take between Perry and Woodward. Perry Chamber Director and Raccoon River Valley Trail Association Board Member Bob Wilson explains. Wilson says he continues to feel this connector is a huge step for communities on both trails in really making Iowa a cycling destination. We will continue to bring you more information on this developing story as news becomes official.